Opal is a hydrous, silicon dioxide. It is unlike other minerals because it is not crystalline. It is considered to be a hardened jelly. The name opal derives from the Greek Opallos, meaning "to see a change (of color)." Opals range in color from milky white to black with flashes of yellow, orange, green, red, and blue. Healing properties - It was believed that water, fire and heat are enclosed in Opal so it is a remedy for many diseases. Opal helps against heart diseases, calms nerves, guards against melancholy, and improves vision. Magical properties - It is a stone of deceptive hopes and illusions, secret passions, superstitions, the favorite stone of magicians and alchemists. Opals intensify intuition and promote inspiration. Opals help recollect the past lives. You may have heard that the opal brings bad luck and is an evil stone. In fact, this has been a ridiculous belief for a long time all over the world. This unfortunate reputation and myth actually is the fault of one man, Sir Walter Scott. Sir Walter Scott’s bestselling novel, Anne of Geuerstein, written in 1829, was the story of Lady Hermione, who is falsely accused of being a demoness, and dies shortly after a drop of holy water accidentally falls on her opal and destroys its color. The public took this to mean that the author was warning of the bad luck an opal can bring, so they stopped buying the beautiful gemstone. 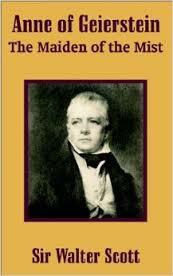 Sir Walter Scott succeeded in destroying the European opal market for almost 50 years. Within months of the novel being published, the opal market crashed and prices were down 50%.